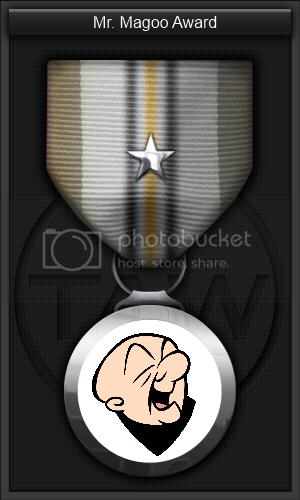 For making an April fools "too many AWOL's" joke to the entire Nuclear Dawn Division and then taking the day off, leaving his awesome DC and fellow Officers to deal with the fallout, Metamorphyse is hereby awarded the Gump Award. yeah i totally forgot i'd excused myself for the match that night,... i did however have a good laugh with the e-mail replies. 1. If you have to ask, you just got one. 2. If you proclaim that you don't have one, we'll rectify that right away! * - Although to be honest, this deserves it's own award. I got my Gump for resetting a campaign instead of the match during a Code Red Tournament. I always maintained I didn't deserve it, but the entire Battalion, they seemed very sure I did. Here's to the Gump award! I was just promoted, and was settling in, and i got my first discharge list, and was told to take care of it. The list had the name of PL that needed to be dc, but instead of dcing the PL, i dced 2nd battalions CO.
"You have been banned from the server for flooding commands"
(I go to steam and ask Gant...) "I just used the wrong command didn't I"
Second was for the (coincidental) accidental sabotage of a WT match, apparently they were too slow to tell that comms went haywire :3 Just sayin. 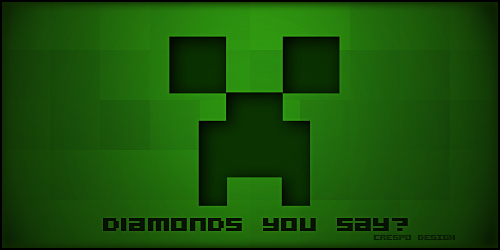 I remember that plugin ^^ good times, good times. Ooh, you deserved it Stealth! I'm not gonna explain my Gump, I think the comment posted be EpsilonAlpha on it does it justice. Here at TAW, we recognise people for their efforts in everything. I would like to bring to attention the efforts of one member in particular, that of Andrewki. Andrewki has shown constant dedication in many aspects of Tribes: Ascend. His persistence and incredible skill is stunning. I, and many others, believe that Andrewki should be recognised for his skill and his many efforts. Andrewki has shown supreme kill in the art of team killing in a spectacular fashion. His ability to help the opposing team defeat his actual squad losing in an insanely closely-fought, intense game of Tribes: Ascend is mesmerizing. The scores were locked even in overtime, the team that manages to get the next cap wins. The offense has done a masterful job of clearing the enemy stand. The defense has done a majestic job of holding off the enemy offense. The path to victory is clear. Nothing can possibly go wrong now. I was coming in to grab the flag off the stand, nothing standing in our way on our path to victory. Then, Andrewki. His incredibly badly placed Fusion Mortar manages to take me out in spectacular fashion, and thus preventing our win The efforts of 6 players, all functioning perfectly as a team, were undone that day. After all the blood, sweat and tears... it was painful to see the opposing team manage to get a cap. The game should have been ours! It WAS ours! Unfortunately, Andrewki managed to demoralise us to the point where he was recommended for this truly spectatular prize. A very well deserved award. 1st one was when Combat Arms was a full division and when I was known as Sunhai. I didn't have one and I volunteered for the Tournament's Gump award. Here is my one and only so far: In BFBC2 we where involved in our first scrim match My squad was assigned to defend the far point. One random guy came over and we saw him and started to attack him. In this i announce that i was dropping mortars on the building he was in. I got my only kill of the match which was my own teammate. I remember it well Nuke as I nominated you for that rare thing...a battlefield gump. I think it was Shrewslayer you got, me and someone else barely made it through the windows in time. "What's the point of being a grown up if you can't act like a child?" I shot a building in practice from the back of a rocket pickup in arma.... The building fell and blew up several of my team mates.